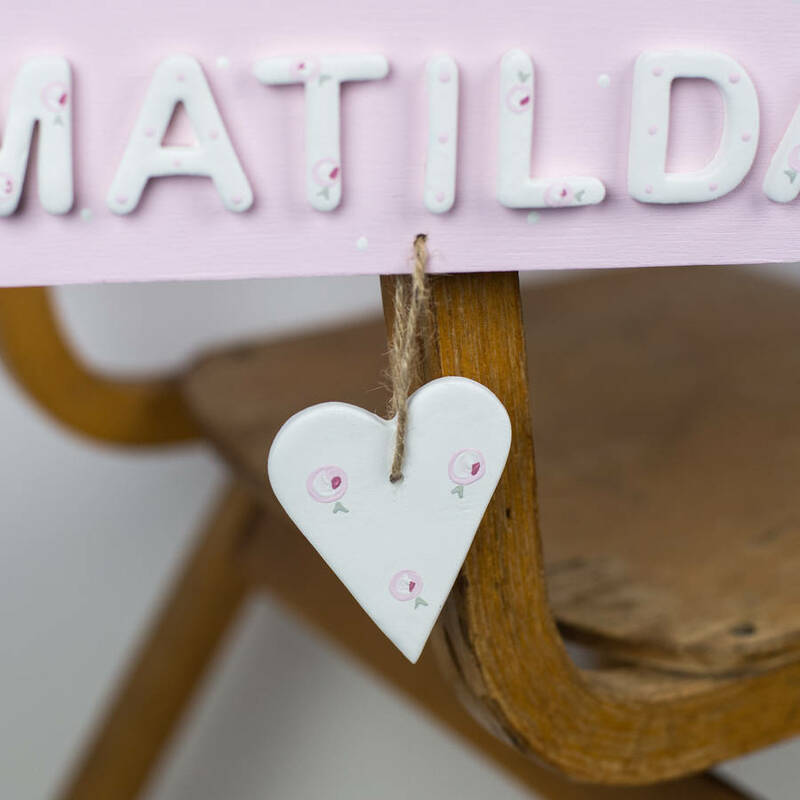 A beautiful hand painted personalised children's door plaque with white floral ceramic letters finished with a floral hanging heart. 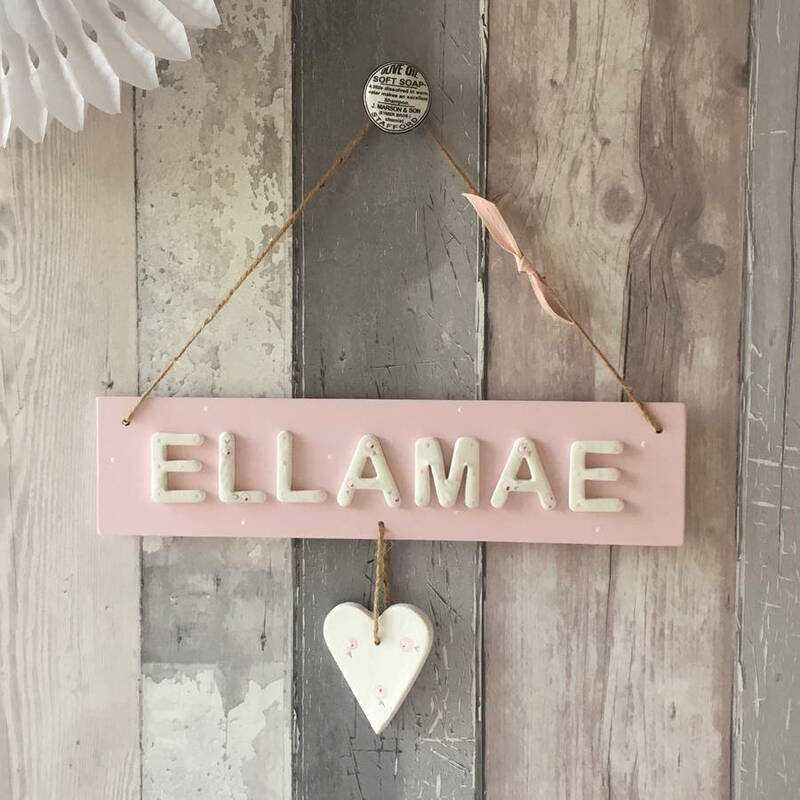 This pretty personalised children's wooden personalised sign makes a truly unique gift, perfect for a new baby, Christening, Christmas or birthday. 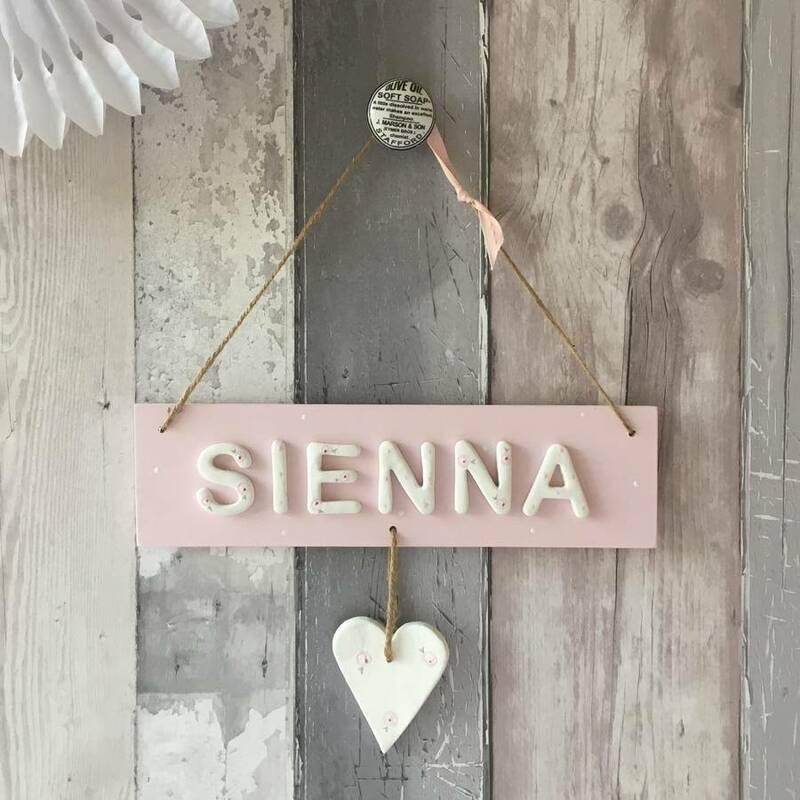 The pale pink polka dot background and floral letters and heart will suit a child of any age and hung on a wall or door it will coordinate well with most bedroom decor. You can make this sign truly unique and personal by spelling out a name or special message. 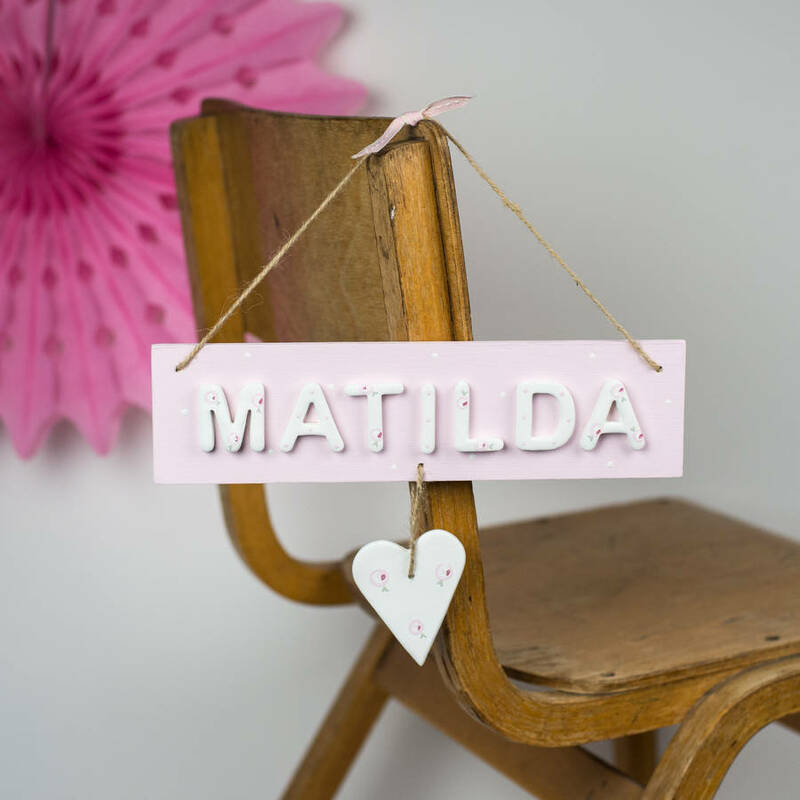 All my items are hand crafted and hand painted to order. 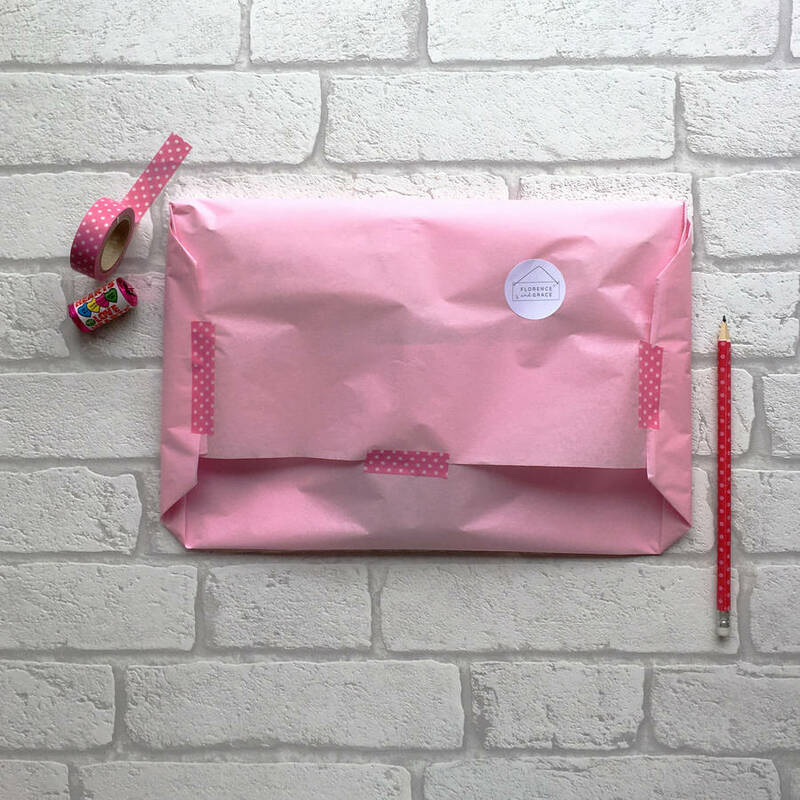 I aim to despatch within 7 to 10 days of an order being placed, though in busy times the process may take up to 14 days. If you have a specific date you would like the sign for, just contact me and I will endevour to meet your requests.